FDR came into office in 1932 amidst a depression. His first 100 days in office saw the implementation of his New Deal. FDR was re-elected in 1936. The economy was still struggling in 1939, however, despite New Deal policies. The mid-terms of 1938 were a disaster for the Democrats and the new Congress wasn’t interested in FDR’s reforms any longer. 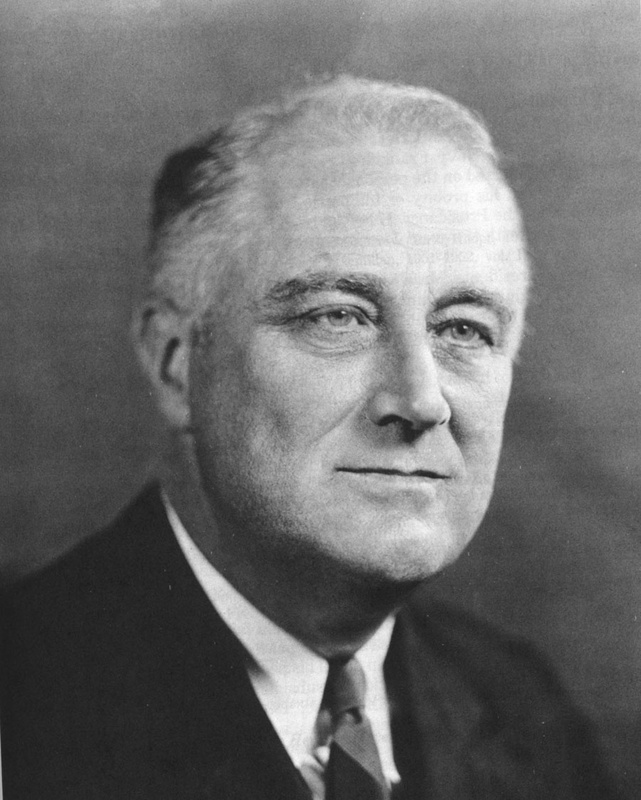 Should FDR run for a third term? There were many things to consider. A storm was brewing in Europe. Hitler was exercising full power in Germany. He was persecuting Jews and supporting a fascist uprising in Spain. In 1936 Hitler reclaimed the Rhineland from France then annexed Austria in 1938. Elsewhere Mussolini was attacking Ethiopia and Japan was on the warpath in China. Americans believed foreign affairs were none of their business. They had no stomach for war having recently lost over 100,000 men in the Great War. But FDR realized we lived in a new world where isolationism wasn’t an option. The Founders counseled that Americans shouldn’t become involved in entangling alliances with foreign nations. However, it can be argued that when they wrote that the only way America could be attacked was by row boat over a vast ocean. That was no longer the case. The world became a much smaller place because of modern war ships and planes. Another argument for involvement is the good neighbor argument. Do you help your neighbor when he’s in trouble? Now apply that on a national level. America’s neighbors were in trouble and they needed our help. FDR believed, as his hero Teddy Roosevelt did, that the U.S. needs to be involved on the International Stage. FDR spoke out against fascism and the anti-war law-makers accused him of war-mongering. The American people didn’t seem to care because those problems were on the other side of the ocean. Then in November of 1938 Jews throughout Germany were assaulted by Hitler’s soldiers. Homes and synagogues were burnt and many died. To add insult to injury the German Jews were required to pay an “atonement fine” (mockery) for the damages caused by the soldiers! Jewish persecution wasn’t limited to Germany. FDR was horrified. He ordered that German and Austrian visas be extended so that people wouldn’t be forced to return to Nazi rule. This move was extremely unpopular with Americans. A Gallup poll in 1939 said that about 85-percent of both Catholics and Protestants opposed offering sanctuary to European refugees. What’s shocking is that 25-percent of American Jews were against offering asylum! FDR debated about running for an unprecedented third term. Even though the Constitution says nothing about term limits, Presidents traditionally followed George Washington’s example of stepping down after two terms. There was no term-limit law in place; it was a practice in keeping with the American tradition of limited government. The world only knew about bloody monarchs who would kill to stay in power. But Americans had been showing the world something new; their Presidents weren’t monarchs. The mantle of power in America is peacefully and willingly relinquished. So what should FDR do? The state of things at home and abroad convinced him to run. The world needed a leader in such perilous times. Then, on this day, July 18, 1940, FDR was nominated for a third term at the Democratic Party National Convention in Chicago. That voice came from Thomas Garry the Superintendent of Chicago’s Department of Sanitation who was acting under the orders of Chicago Mayor Ed Kelly. Other city workers were strategically placed around the hall to join in the chant. Soon everyone joined in. Thomas Garry’s chant came to be known as “The Voice from the Sewers” since he was the guy in charge of Chicago’s sewers. 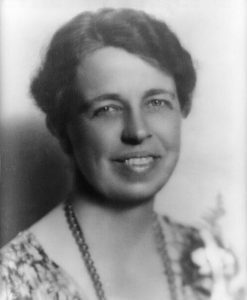 Roosevelt was overwhelmingly nominated and eventually won a third, and then a fourth term. This entry was posted in Uncategorized on July 18, 2017 by dsheridan.